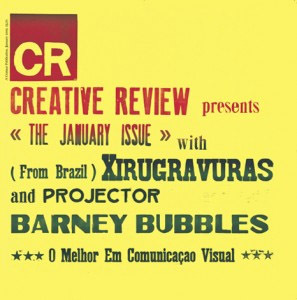 I am very pleased to have participated in an article for this month’s Creative Review. In honour of Choque Cultural Gallery’s publication of a fabulous book of woodcut art called Xirugravuras which also highlights the dying art of the Lambe Lambe poster and the Grafica Fidalga workshop – which I posted something about in 2007. Cisma’s Lambe-lambe 2004 from CISMA on Vimeo.